Photosynthesis IA's must be submitted to turnitin.com only! · Type your name on your lab. Seriously. · Submit ahead of time, if possible. Then log back on to see if the IA was actually submitted AND that everything looks how you want it to look. o If table/graph formatting makes them illegible, email me (prior to 8pm) so that I can look and allow resubmission by 11:59 pm. o Careful with Google documents. They often have formatting issues with Turnitin.com. Don’t procrastinate so that you have no other choice. o Technology is NOT a valid excuse for those that wait until the last minute to submit. Don’t cause extra stress on yourself…work ahead of time to accommodate for these issues. Photosynthesis is the production of carbon compounds in cells using light energy. Visible light has a range of wavelengths with violet the shortest wavelength and red the longest. 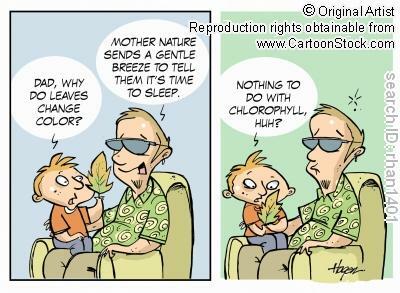 Chlorophyll absorbs red and blue light most effectively and reflects green light more than other colours. Oxygen is produced in photosynthesis from the photolysis of water. Energy is needed to produce carbohydrates and other carbon compounds from carbon dioxide. Temperature, light intensity and carbon dioxide concentration are possible limiting factors on the rate of photosynthesis. Application: Changes to the Earth’s atmosphere, oceans and rock deposition due to photosynthesis. Skill: Drawing an absorption spectrum for chlorophyll and an action spectrum for photosynthesis. Skill: Design of experiments to investigate the effect of limiting factors on photosynthesis. Students should know that visible light has wavelengths between 400 and 700 nanometres, but they are not expected to recall the wavelengths of specific colours of light. Water free of dissolved carbon dioxide for photosynthesis experiments can be produced by boiling and cooling water. Paper chromatography can be used to separate photosynthetic pigments but thin layer chromatography gives better results. Light-dependent reactions take place in the intermembrane space of the thylakoids. Light-independent reactions take place in the stroma. Reduced NADP and ATP are produced in the light-dependent reactions. Absorption of light by photosystems generates excited electrons. Photolysis of water generates electrons for use in the light-dependent reactions. Transfer of excited electrons occurs between carriers in thylakoid membranes. Excited electrons from Photosystem II are used to contribute to generate a proton gradient. ATP synthase in thylakoids generates ATP using the proton gradient. Excited electrons from Photosystem I are used to reduce NADP. In the light-independent reactions a carboxylase catalyses the carboxylation of ribulose bisphosphate. Glycerate 3-phosphate is reduced to triose phosphate using reduced NADP and ATP. Triose phosphate is used to regenerate RuBP and produce carbohydrates. Ribulose bisphosphate is reformed using ATP. The structure of the chloroplast is adapted to its function in photosynthesis. Application: Calvin’s experiment to elucidate the carboxylation of RuBP. Skill: Annotation of a diagram to indicate the adaptations of a chloroplast to its function. The lollipop experiment used to work out the biochemical details of the Calvin cycle shows considerable creativity. To what extent is the creation of an elegant protocol similar to the creation of a work of art? The Global Artificial Photosynthesis (GAP) project aims to create an artificial “leaf” within the next decade. An electronic version of the leaf that creates oxygen and hydrogen from water and sunlight has already been invented and will be developed for use in the next decade. Aim 6: Hill´s method demonstrating electron transfer in chloroplasts by observing DCPIP reduction, immobilization of a culture of an alga such as Scenedesmus in alginate beads and measurement of the rate of photosynthesis by monitoring their effect on hydrogencarbonate indicator are all possible experiments.